You wear your face every day. Make-up and fillers can always enhance our looks, but as we age, it's important to nurture our skin from the inside out. Paying attention to and investing in the quality of your skin will help you to look your best. 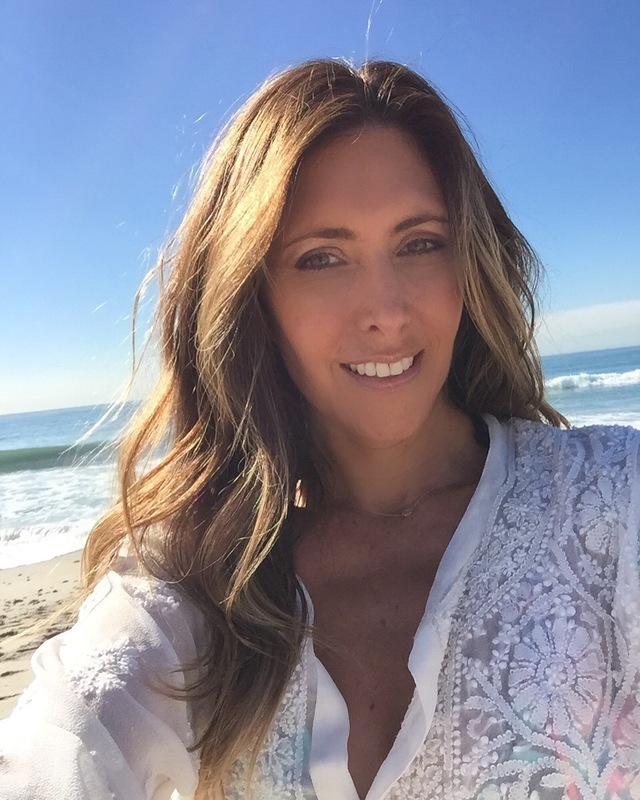 Over the past six months, I've tried some amazing non-invasive face treatments and gadgets that have improved my skin. My face looks renewed and more youthful than before. Full disclosure: I have not had any injectables during these six months. Read on for the details. Acoustic Wave Therapy has been used for years by physical therapists to ease the pain from poor blood circulation and stiff joints. The same technology that is now used for cosmetic purposes was discovered by "accident" when the patients being treated had improved the overall quality of their skin. The SkinWave™ Institute provides a painless and non-invasive skin tightening treatment that smooths out wrinkles and improves sagging skin by stimulating collagen production. The procedure can be done on your lunch hour, takes about 20 minutes and feels like a light snapping sensation on your face and neck. For best results, you need 8 weekly sessions and then one monthly session for maintenance. I noticed a big improvement in the look of my skin--tighter skin on my neck and the reduction in fine lines around my mouth and eyes. SkinWave™ is currently offered in Beverly Hills and Founder George Zaoui plans to open centers throughout the U.S. Mention Melissa Meyers for a 10% discount on all services. To learn more about SkinWave™ for cellulite reaction, read my body shaping article here. Photos are not retouched. My skin is less wrinkled and tighter, especially around the neck. Regenlite™ is a non-invasive laser treatment repairs and reverses the signs of aging without damage to skin or collagen. The natural production of collagen is stimulated by each light pulse. This unique laser treatment can be used around the delicate area of your eyes so is great for wrinkle reduction there. Regenlite™ is also used to treat acne, rosacea and scarring. The treatment is painless and there is no down time. I had 5 sessions spread out over 10 weeks time at the KO'AN center located in Santa Monica and I'm very happy with the results. Visia Complexion skin analysis performed at the Koan Center show the improvement of your skin after treatments. Watch this video on Regenlite! IPL is another non-invasive laser treatment that utilizes high energy light waves to even out your skin tone by targeting the darker areas of melanin. Sun damage can cause an uneven face palette and this becomes more noticeable as we age. IPL is great for treating sun or liver spots and can also be used to reduce the size of enlarged pores and smooth away broken blood vessels. During the IPL photofacial procedure, you will feel a warm sensation combined with a light "snap" from a rubber band. This treatment is very common and can be found at many dermatologist offices and laser centers. For best results, I recommend at least five full-face IPL photo facials, one month apart. The procedure usually takes about 30 minutes. 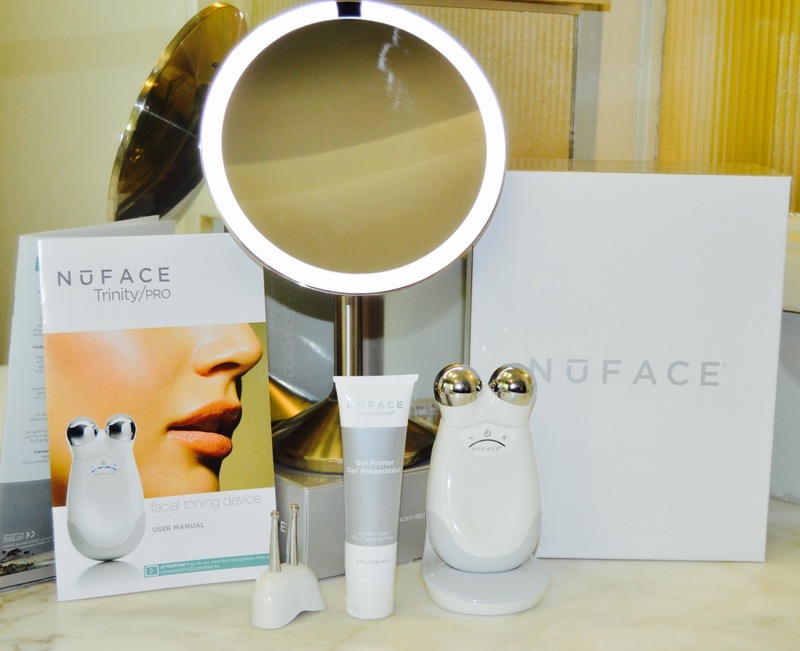 The NuFACE® Trinity is an anti-aging device that works very well to diminish crow’s feet and overall fine line facial wrinkles by using wave micro-current technology. This clinically proven painless at-home device stimulates the skin to improve its appearance. I like using the smaller attachment to target the fine lines around my eyes and lips and have seen an overall improvement in the quality of my skin in those areas. I discovered NuFACE at a beauty event hosted by the KO'AN Center where I was able to try it before committing to purchase. For best results, use for five minutes every day for the first 60 days and then 2-3 times a week for maintenance. LightStim® patented LED light therapy is an effective technology for achieving youthful and healthy skin. This at-home device emits light waves that stimulate the production of collagen and elastin to reduce fine lines and wrinkles. In FDA clinical studies, 100% of participants showed improvement in their fine lines and wrinkles in 8 weeks. This device also offers a free app for customized treatment times, product tips, guides and more. It's recommended to hold the light for 3 minutes per area on your face daily for best results. I have been using it on my cheeks and forehead while watching TV before bed! It's also the perfect gadget to pack if you travel often. Use Lightstim® daily until desired results, then 2-3 times weekly. The bottom line is that it takes time, money and dedication to maintain youthful skin as we age. Using a combination of these procedures and gadgets will give you the best results but even choosing one that best suits your budget and lifestyle will improve the quality your skin!